All five passengers aboard a tour helicopter died when the aircraft crashed into the East River Sunday evening, authorities said, marking one of the worst civilian aviation fatalities of any kind in the United States in the last few years. The pilot of the helicopter, who managed to escape the overturned chopper, was the only survivor. Law enforcement sources identified him as Richard Vance, 33. A senior law enforcement official told News 4 that Vance speculated in an initial interview it was possible one of the passengers inadvertently hit the fuel cut-off switch with a piece of equipment, which may have caused the engine to sputter and the chopper to plunge into the river. The five passengers became trapped in the inverted aircraft and had to be pulled from frigid waters by divers, officials said. Three of them were taken to area hospitals in critical condition and died early Monday, while the other two were pronounced dead at the scene. The dead were four men and one woman; the victims have been identified as Brian McDaniel, a Dallas firefighter, and his longtime friend Trevor Cadigan, whom McDaniel was visiting this weekend. Also killed: 29-year-old Argentinian tourist Carla Vallejos Blanco, 29, and two helicopter employees, Tristan Hill and Daniel Thompson. Law enforcement sources said Vance was released from the hospital at some point overnight. He was said to be in OK condition, but no one answered an email sent to him by the Associated Press on Monday. The National Transportation Safety Board later said it would look at the switch, the chopper's flotation devices and even the photos on passengers' cameras to figure out what caused the crash Sunday in New York City's East River. 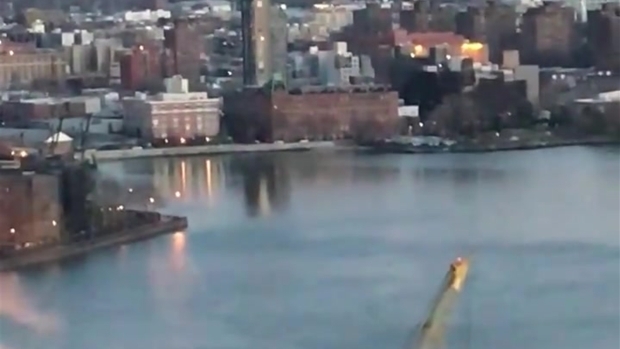 The helicopter went down in the waters near East 86th Street and the FDR Drive shortly after 7 p.m., according to officials, who said police received dozens of 911 calls in the minutes after the crash. Photographer Eric Adams says he was on a helicopter tour that took off at the same time and from the same place as the ill-fated helicopter. He says he captured photos showing the other chopper before it crashed. "Mayday... Mayday... Mayday... East River engine failure!" the pilot said during a distress call moments before losing control of the helicopter and plummeting into the water. Witnesses said the pilot was waving with both arms and yelling "Help!" from the water. A Long Island woman having dinner with her sister and brother-in-law at their apartment near 92nd Street captured the exact moment of the crash on video. "It was unbelievable to watch because you don't believe it is actually going to hit it and then the next thing you know, it's hitting the water," Arineh Nazarian said. Her video shows the chopper hovering in the air, then suddenly descend toward the river, where it crashes, its half-submerged propellers madly spraying water. It overturns, then sinks. Other videos show emergency responders rushing to the water as crowds of onlookers gather at the shore. The helicopter was owned by Liberty Helicopter Tours. “We are focused on supporting the families affected by this tragic accident and on fully cooperating with the FAA and NTSB investigations," the company said in a statement. "These agencies have asked us to respect the investigative process by referring all press inquiries to them for any further comment." The company paid $23,576 in fines in 2010 and 2011 for violating maintenance, record-keeping and flight operations rules, according to the FAA. Three subsequent maintenance violations in 2011 and 2012 didn't result in any fines. Chopper 4 reporter Kai Simonsen says passengers on such flights are usually strapped in as they take photos of the city. The passengers are normally shown a safety video before going up that instructs them to use a cutter on their harness to break free during an emergency, Simonsen says. 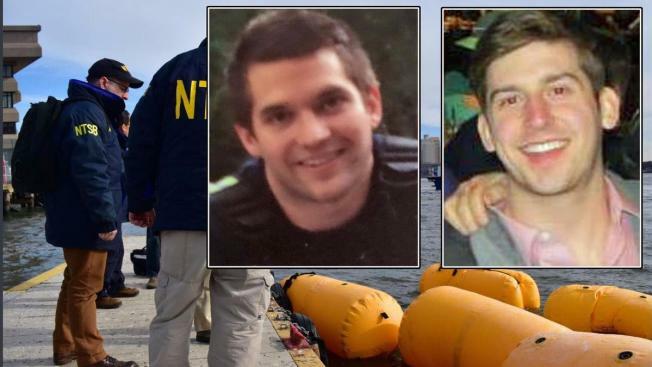 But after FDNY and NYPD harbor and aviation units descended on the crash site, divers discovered the five passengers still strapped into their harnesses inside the submerged helicopter. FDNY Commissioner Daniel Nigro said the East River had currents of 5 mph and waters below 40 degrees at the time. "The five people besides the pilot were all tightly harnessed, so these harnesses had to be cut and removed in order to get these folks off this helicopter, which was upside down at the time and completely submerged," Nigro said. 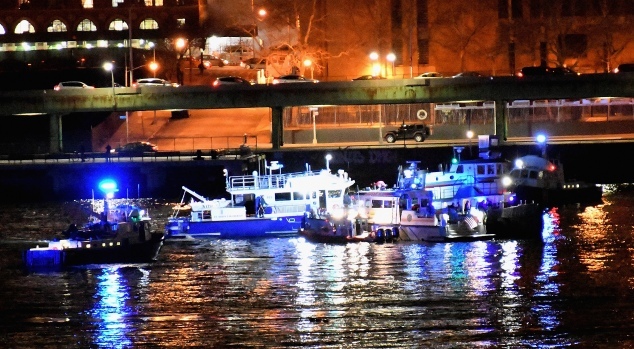 The Coast Guard and a private tugboat also assisted in the rescue, according to NYPD Commissioner James O'Neill, who said the tugboat crew were the first to arrive after the crash. 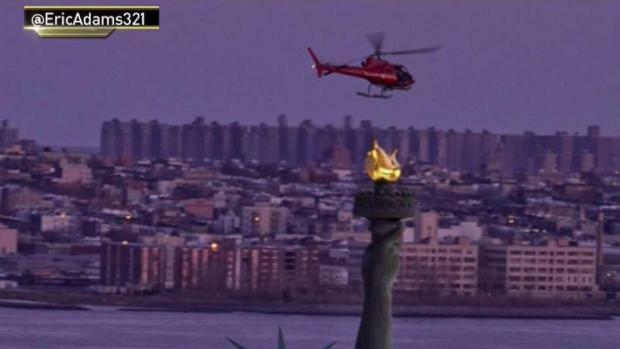 The helicopter was recovered and towed to 23rd Street and the FDR Drive. Crews hauled it from the river Monday afternoon. The crash happened right in front of Gracie Mansion, the official residence of Mayor de Blasio, who was out of town this weekend. In a statement earlier Sunday evening, Gov. Cuomo said he was monitoring the situation. "Our thoughts and hope for safe recovery are with those who were aboard. We are thankful for our first responders at the scene," Cuomo said. The National Transportation Safety Board is leading the investigation in determining what caused the crash; a team of 14 agents arrived at the scene Monday morning. The NTSB has asked for any witnesses to come forward. The Aviation Safety Network, which tracks flight accidents and fatalities, had recorded at least 11 other fatal crashes worldwide involving AS350 variants over the last 18 months alone. According to that same database, Sunday's crash is likely the biggest U.S. civil aviation fatality since a December 2016 Cessna crash in Ohio. Though chopper crashes in the East and Hudson rivers aren't necessarily uncommon, Sunday's crash has become one of the deadliest in the city's history.